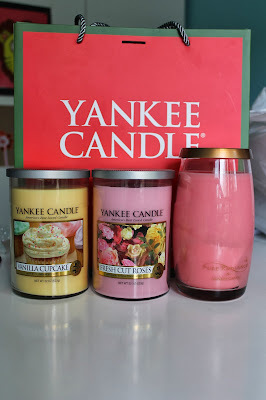 Hazelnutt House: Some gift ideas for ladies - Yankee Candles, Mt. Sapola and a SHELF? Some gift ideas for ladies - Yankee Candles, Mt. Sapola and a SHELF? Getting gifts for lady friends isn't much of a problem, for me at least. There are tons of beauty gift boxes to choose from at most malls. However, if you have friends who aren't exactly into beauty products, this entry might come in handy. I've three gift ideas as well as a gift card deal from Yankee Candle to share with you. Yankee Candle has "buy 4 gift cards at $39.90 each and get the 5th gift card free" deal. The nice people from Yankee Candle told me that they have this promotion all year round. In total you spend $159.60 for 5 gift cards. Which means you pay $$31.90 for each card. You can make use of each gift card to exchange for, "a Large Jar Candle($39.90), Large Tumbler Candle ($39.90), Large Vase Candle ($45.90) or Jar shade...." (extracted from the clause in the gift card). You do not have to top up the difference if the item cost more than $39.90. I prefer the tumbler candles as there are two wicks (strong scent when burned) and it is easier for me to stack them up when I need to store them, since the lid is flat. With the jar candles and their bulbous lids, I am unable to stack them up. Here are the candles that I took home after getting the Buy 4 get 1 free gift card deal. I decided to cart only 3 home for now and use the other 2 gift cards for later since the gift cards are valid for a year. The Vanilla Cupcake and Fresh Cut Roses are large tumbler candles and the Guava is a Large Vase candle which retails at a higher price of $45.90. Therefore, you're definitely get a better deal when you use your gift card to exchange for these large vase candles. And nope, you do not need to top up the difference. You'll find Yankee Candle at these locations. 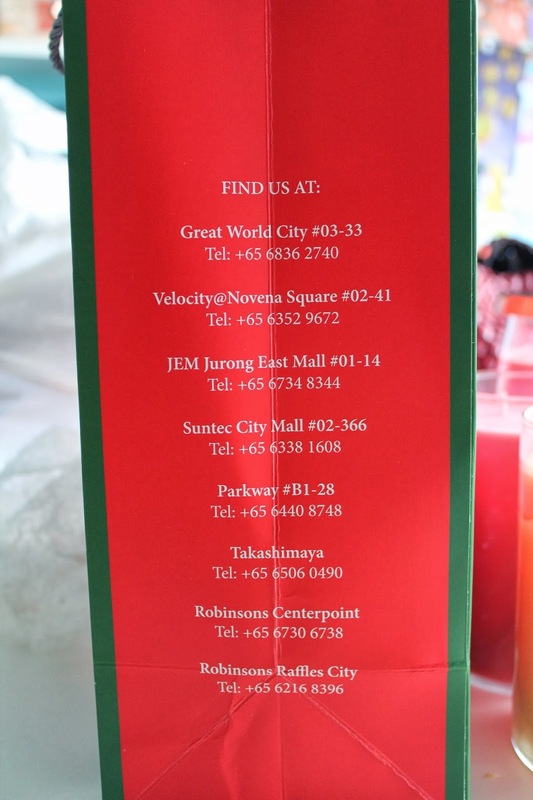 The buy 4 gift cards and get 1 free deal is only available at Yankee Candle stores and not at the small space that also sells Yankee Candles in Takashimaya. Please take note of what you can exchange for with the gift card. "This gift card can be used to redeem one Reed Diffuser, Large Jar Candle, Large Tumbler Candle, Large Vase Candle or Jar shade...." redeemable at all Yankee Candle stores. 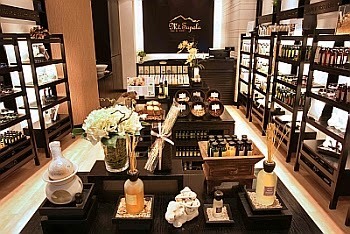 Yet another place where you can get something lovely for a girl friend would be at Mt. Sapola. Check out this Mt. Sapola link for the various locations in Singapore. I especially like the electric diffuser... it uses an energy saving bulb to heat up the water and essential oils instead of a tea light. I prefer an electric diffuser to one that uses tea lights coz I am absolutely lazy when it comes to replacing those tiny tea lights. This is the small electric diffuser which I bought last year and it cost about $70ish. It comes with the bulb but not the essential oil. This is the bigger electric diffuser which I got for a friend's new place and it costs somewhere around $110... the peppermint and lemongrass oils are sold seperately. Now for the final item that I think will bring a smile to a friend who loves loves loves organising. It's this Expand A Shelf organiser. Click here to read more about this expandable shelf. Talk to you ladies soon! Simple, easy to make Christmas gift. "Hey, what did you get in Japan?"